evening. Heli-skiing in the Rocallosasen morning and spend the afternoon at a spa. 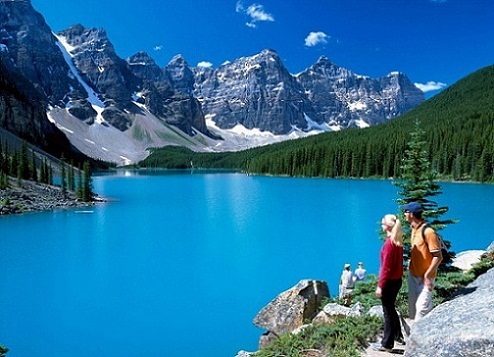 Here we leave you 5 different options to enjoy in Canada, a country that never ends. Sherbrooke Situated away from the axis of the Saint Lawrence River on which are the cities of Montreal and Quebec city of Sherbrooke, surrounded by what locals call the mountains, and I would consider rather high hills worthwhile.Its center, full of bars, bakeries quality, diverse restaurants (therefore prices, as the world's regions represented), lives to the rhythm of student life, since the city hosts the University of Sherbrooke.The small lake, the two rivers, up and down the streets to interesting viewpoints are so many picturesque aspects of this provincial city.